How to earn a second hand car in 2015. 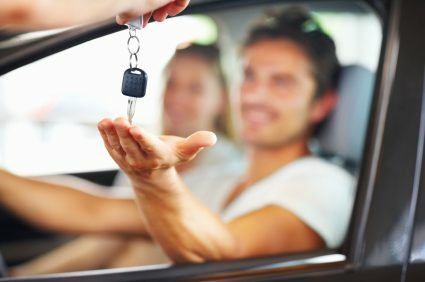 Earning your own second hand car is certainly a wise choice if you want to keep costs down and take ownership of your vehicle. How does it work? Earning your own car works on a rent to own basis. This means you put down an initial deposit and then pay a monthly instalment to rent the vehicle until it is paid off. What makes this such a wise choice for 2015? Earning your own vehicle comes with a wealth of perks which will benefit you and you can expect to save on the associated costs along the way. Maintenance and service plans form part of the package. Blacklisted individuals can receive vehicle financing. Affordable comprehensive insurance packages are included. Warranties are provided for the duration of the rental contract. Vehicle trackers and immobilisers are included. Accident management and support is incorporated. At Earn-a-Car, we offer our clients the opportunity to apply for and receive credit approval instantly. In fact you could be driving away in your new vehicle in just one hour. We offer vehicle financing for the best range of pre-owned cars on the market and what’s more, your package is all inclusive of the above mentioned advantages and more. To find the right second hand car to invest in, make use of our online search feature where you can look for vehicles for sale by various criteria including make, year model, transmission, mileage, fuel type, monthly budget allowance and body type. How exactly do you earn your car? For every instalment you pay over, at least R300 cash is given back to you. This cash can be used for the purchase of your vehicle, as a down payment on another vehicle of your choice, or you can use the cash to spoil yourself. To learn more about earning your second hand car, contact us at Earn-a-Car today.